Those who’ve played Assassin’s Creed II (arguably the best game in the long-running series to date) know that Xerxes, the king of the Persians who fought the Spartans at Thermopylae, was the first guy to succumb to the Hidden Blade. The Hidden Blade, of course, is the iconic weapon of the Assassin Brotherhood, the one used by all Assassin’s Creed’s protagonists since Altair did so for the first time in 2007’s game. In the latest game in the series though, neither Alexios or Kassandra (the game’s protagonists), get to wield the Blade. This is due to the fact that Assassin’s Creed Odyssey is set hundreds of years before the Assassin Brotherhood first appeared (but is still a great game as we pointed out in our review). 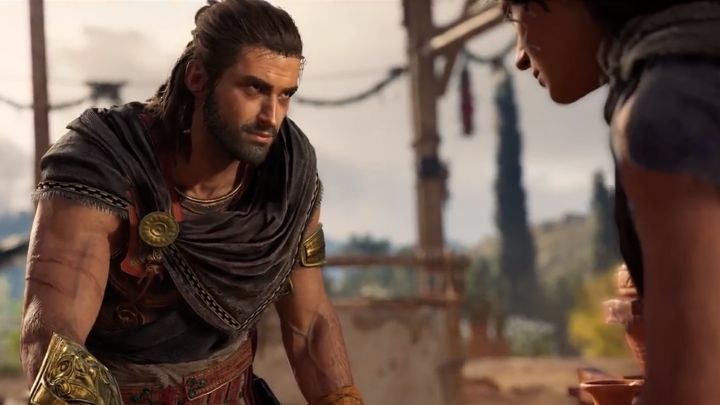 However, in Assassin’s Creed Odyssey’s first expansion (which is titled “Legacy of the Hidden Blade”) Alexios and Kassandra get to meet the first man ever to use the Hidden Blade, a guy named Darius. We catch our first glimpse of Darius in the expansion’s trailer below, which is suitably epic and dramatic and leaves me wanting to dive into this first episode of Legacy of the Hidden Blade when it comes out on December 4. The Legacy of the Hidden Blade DLC won’t be released in one chunk as the expansions for the earlier Assassin’s Creed Origins game were. Rather, it is split in three episodes, each one coming out 6 weeks apart. This means that if Ubisoft sticks to its schedule we should expect the second episode in mid-January 2019, while the last will be releasing in late February (these two episodes are titled “Shadow Heritage” and “Bloodline”). As was the case with last year’s Assassin’s Creed Origins, this DLC can be bought standalone, or as part of Assassin’s Creed Odyssey’s extensive season pass (which you can find more about here). Either way, here’s hoping this first DLC expansion for Assassin’s Creed Odyssey turns out to be as good as the base game is when it’s released early next month.